According to the National Highway Traffic Safety Administration, motorcyclists are 27 times more likely to die in accidents compared to other road users. Motorcyclists don’t have the protective shell of a car. Even a minor fender bender can result in serious and life-altering injuries. When you combine the speed of the road, distracted or even drunk drivers, and drivers who fail to abide by the law, you have a potentially deadly combination for motorcycle riders. While popular culture may depict riders as risk-seekers, many riders are highly trained and take great care when sharing the road with passenger vehicles. Unfortunately, passenger vehicle operators may not have the training or the awareness to share the road with motorcyclists. However, when passenger vehicle operators make mistakes, the people who often suffer the greatest and most serious injuries are motorcyclists. If you’ve been hurt in a motorcycle accident due to the negligence, neglect, or mistake of another driver, you may have important rights under the law. You may be entitled to seek compensation for medical expenses, lost wages, and pain and suffering damages. The Law Office of Brian K. Branch is a motorcycle accident lawyer in Albuquerque, New Mexico who can fight to help you seek the justice and the compensation you may deserve under the law. The days and weeks after a motorcycle crash can be stressful and challenging for both victims and their families. You may be in pain. Your family may be facing immense medical bills. You may even have to miss time at work, putting additional financial strain on your family. You may have questions about the future. Families and survivors may have to speak to insurance adjusters and other parties in order to seek the recovery they may deserve. These processes can be complex and sometimes confusing. Dealing with insurance companies: In the aftermath of an accident, you may have to speak to insurance adjusters to seek a recovery for your losses and damages. To get the best possible outcome when speaking with adjusters, you’ll need some crucial information. First, you’ll need to understand your policy, your rights, and your limitations. Secondly, you should go into your discussions with adjusters having a good understanding of the value of your damages. In some cases, insurance won’t cover all your damages. However, it is important to understand why this is so, because sometimes insurance can cover some damages. A motorcycle accident lawyer in Albuquerque, New Mexico like the Law Office of Brian K. Branch can review your medical expenses, lost wages, and other damages to estimate the value of your case. Our firm can then speak to insurance adjusters to help you get the maximum possible recovery under the law. Sometimes adjusters use formulas or computer programs to determine the value of a claim. These numbers may not be based on your actual losses. Providing evidence to insurers of your damages and having a lawyer to speak to adjusters can make a difference. If you believe you are not receiving the claim you may deserve, contact the Law Office of Brian K. Branch, motorcycle accident lawyer Albuquerque, New Mexico today. Fighting negligent parties inside or outside of court: Because insurance doesn’t always cover all expenses, sometimes victims and their families pursue lawsuits to make up the difference. If another person was responsible for your serious injuries, you may be entitled to receive compensation to cover lost wages, pain and suffering, and medical costs. The Law Office of Brian K. Branch are qualified Albuquerque, New Mexico motorcycle accident lawyers who can fight for your rights either inside or outside of court. Our firm can write demand letters and help you get the settlement you may deserve without having to step foot in a courtroom. However, we are ready to fight your case in court, if necessary. Unsure about negligence? Motorcyclists may fail to pursue negligent parties after an accident because they are unsure about negligence. Negligence refers to who is at fault for an accident. Under New Mexico law, you are entitled to collect a recovery based on the percentage of fault of the other driver. However, it is important to note that the vast majority of motorcycle accidents are the result of other drivers not giving motorcyclists the right of way, or turning without seeing a motorcyclist approaching. The confusion, pain, and stress of an accident can sometimes make it difficult for a victim to discern the facts. This is where a qualified motorcycle accident lawyer in Albuquerque, New Mexico, like the Law Office of Brian K. Branch, comes in. The legal challenges following a motorcycle accident can feel immense, but with a qualified lawyer on your side, you can protect your rights and seek justice under the law. You may be entitled to collect money to cover medical expenses, lost wages, and even pain and suffering damages. The Law Office of Brian K. Branch is a motorcycle accident lawyer in Albuquerque, New Mexico who offers compassionate and caring counsel to victims and families. You may only have a limited amount of time under the law to seek compensation for your pain and suffering, medical expenses, and lost wages. Statute of limitations laws may limit how long you have to file a claim. A personal injury lawyer may need some time to gather evidence and build your case. 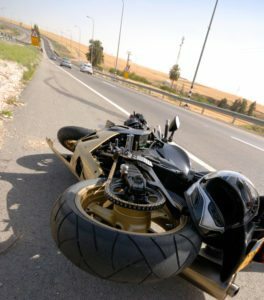 This is why you should contact a motorcycle accident attorney in Albuquerque, New Mexico as soon as possible. Call the Law Office of Brian T. Branch today at 888-972-1212.